« Visit with Goofy at EPCOT’s Character Spot! I have no idea what a pedicure is,…. yet I’ll try anything once…. …..and…. Yeppers Peppers!…. ….even a pedicure! Mommy seems to like going to 1662 Salon East in Oakland Park, Florida for her pedicures. She comes out of the salon with her footie-paw nails, I mean toe nails painted all kinds of fancy colors. Yet, there was something different about today – …..
You see… I was kinda surprised, I usually hide in the car when Mommy goes into the salon. But today mommy brought me in with her and she sat me right down in Miss Sue Ann’s fancy pedicure massager-lounger chair. Miss Sue Ann was very thoughtful, she told me to be careful because the water can be very hot. Only – I think there was a – well…. you know – strange look on her face. 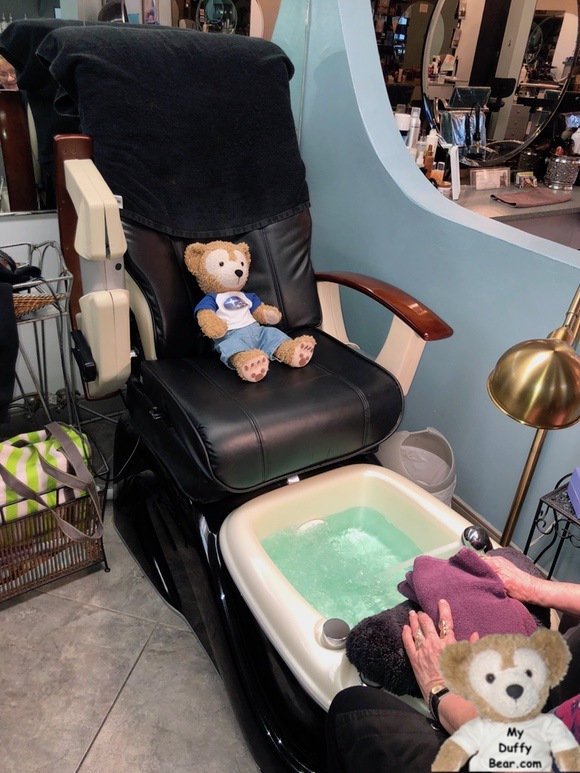 I think I might have been Miss Sue Ann’s firstest ever Duffy the Disney Bear pedicure and she might have been a bit nervous. That was no matters….. I was so excited- well, not exactly for the pedicure, because even though I’ll try anything once, I still get paranoid about new stuff. But I know all about massager chairs! Yet, just before I snatched up the massager control, …. something in my stuffing filled brain went…. First….. My legs were too short or the chair was too big – that’s it!! !… the chair was too BIG and my footie paws were still on dry land….. – I mean ON the chair! Second….. wait! I can’t put my footie-paws in water! What’s mommy thinking?!!! Third….. and really super frightening….. what if Miss Sue Ann thought I was getting a bath and NOT a pedicure? I mean, my footie paws didn’t reach the water,….. the water was hot….. AND the tub was the perfect size for a Duffy the Disney Bear Teddy Bear Bath! (DDBTBB)! I was starting to panic. I couldn’t move. – I mean just look at me in that chair! I look – well, I look duffer-nutterly duffer-founded! Just, yes, just then, mommy Saaaaa-Wooped me up into her arms and sat me down next to her. I guess I wasn’t going to get a pedicure or a bath. But I got something even better! Mr. Ray offered me a drink. Anything I wanted too! I went straight for the soda pop. Mommy won’t buy soda pop for me anymore at home. Cookies?……. Butter Cookies! My little dark brown eyes got so large! After all, just because they are all butter cookies, doesn’t mean that they are all going to taste the same – Right? – Yous guys for sure know that square pegs only fit into square holes, and round pegs only fit into round holes….. and all the pegs in your toy box game are made out of the same stuff,…..
So….. that means that only square butter cookies probably taste like square butter cookies, and round butter cookies probably taste like round butter cookies, and the pretzel looking butter cookies probably only taste like the pretzel looking butter cookies! Naturally, it’s only duffer-sense-ical that I must do a very beary important, complete, scientific and thorough sampling of all the butter cookie shapes so that I will be duffer-fur-certain that the shape of the butter cookie makes a butter cookie taste differently or not. Life is full of wonderful experiences! So what I didn’t get a special salon pedicure treatment today. I discovered that, although mommy’s footie-paw toes always look really pretty after a pedicure,…. Oh and they usually do something really special to her hair in the salon too…. I’d much rather sit in the snack chair and do what everybear must do in a snack chair…… experience the joy of EATING SNACKS! Who needs a little ‘ole pedicure when you got soda pop and butter cookies! So is 1662 Salon East the best place for a pedicure or snacks? I don’t think I need to answser that question – or do I? 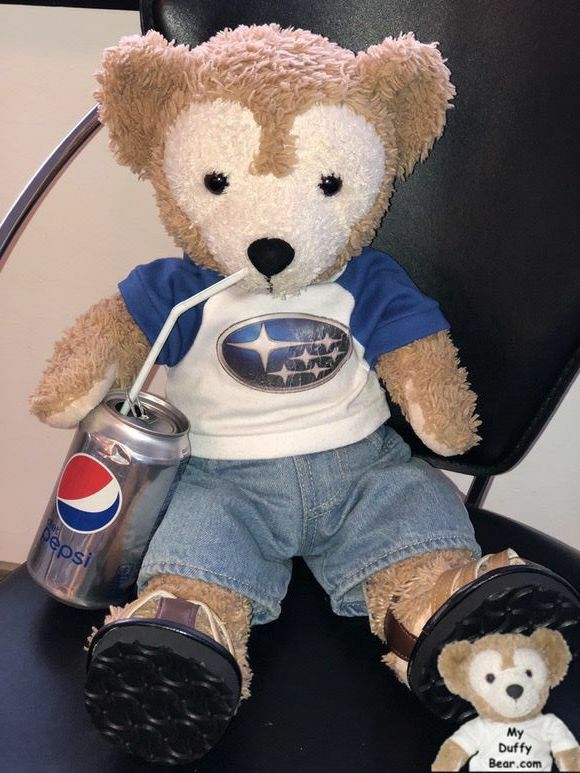 Oh, well I won’t be lazy and I’ll answer…… For my mommy it may be the pedicures, but for little always hungry Duffy the Disney Bears like me – I’ll be heading in for the snacks! P.S. 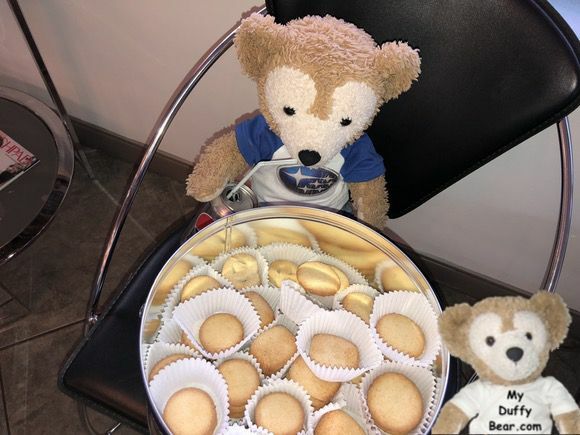 My official, investigation of Butter Cookies Report as stated will reveal “That different Butter Cookie Shapes, ab-so-bear-0-lutely taste different!” So munch away and enjoy! Tagged salon. Bookmark the permalink. 5 Responses to 1662 Salon East, Best place for a Pedicure or Snacks? OMB!!!! Duffy what a treat….and thank Walt your chair was 2 big ;). I hope Dutchie can come with me next time – we need to scientifically research the donuts together! U gots it! Got my paws crossed for the donuts! Leave a Reply, your thoughts are welcome!